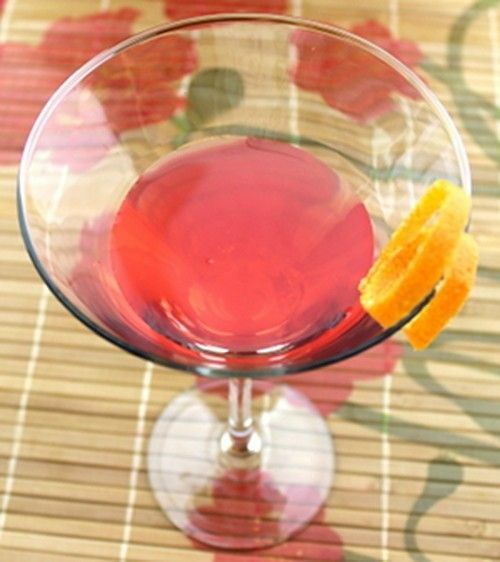 The Saxon Cocktail is a simple cherry or pomegranate flavored drink with a little bit of lime juice to perk it up. I’ll tell you right up front, you have to like grenadine to enjoy this one. But if you do, there’s something charming about the simplicity of this one. It makes for a nice change from the Cosmopolitan – less tangy, but otherwise similar. This is a nice drink for parties because it’s so easy to fix. Fill a cocktail shaker with ice and pour in the ingredients. Shake well and strain into a cocktail glass. Garnish with an orange twist.